This was a fun mix of magic and science - sort of. The magic really takes over and I wish there had been a little more emphasis on how the science knowlege was able to solve the problems. 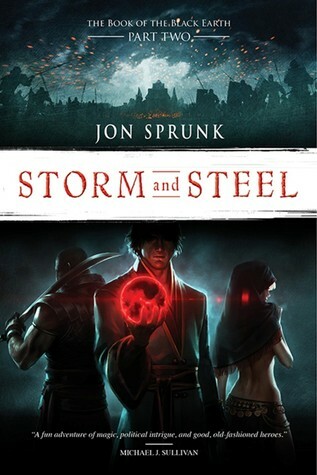 I'm all for some fun magic in a book, but this one needed just a tad more balance between the two. That being said, it was the book my son took to bed with him every night for a couple weeks. He loves the pictures and the addition of the giant spiders makes this story appealing to little boys even though it has little girl main characters. As a parent, I so enjoyed the pet pig. He was just a little sarcastic and it made everything a little more fun to read as an adult. Silver Pony Ranch is full of ponies, puppies, and adventure! 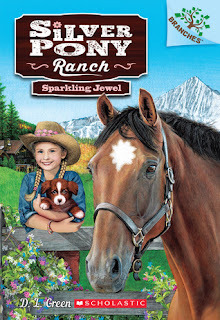 Tori is super-excited to spend the summer at Gran's ranch--where there are lots of beautiful ponies! But she is NOT excited to share a room with her younger sister, Miranda. Miranda likes everything pink, and she loves puppies. Tori does not like pink, and she loves ponies. 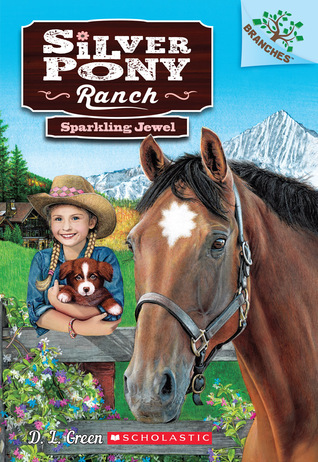 Tori soon falls in love with a rowdy pony named Jewel and she wants to ride her. But Gran says that Jewel is TOO rowdy. Will Tori and Jewel ever get to ride together? And when one of the ranch's puppies goes missing, can Miranda and Tori find the puppy and bring him back home? This was a cute story, but I had some problems with it being inconsistent with the illustrations. The dog is referred to as a collie, but looks nothing like one. It looks more like Benji in my opinion. Every time the dog is mentioned, which was fairly often, this bothered me more and more. I did enjoy the story about Tori and Jewel though. Tori is in love with the pony, but has to earn the privilege of riding the feisty pony. Tori and her sister have a few incidents while at Gran's ranch, but they do their best to pitch in and help out. A cute story, but it needed just a little more work. Sage is used to being the fastest runner, the quickest climber, and the strongest swimmer around. And she's also used to taking charge. 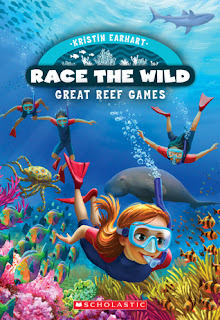 But when the second race course has the red team diving underwater to explore the Great Barrier Reef, it's trusting her teammates that matters most. This was a fun adventure, but it seemed to stall a little bit a few times. In this episode of Race the Wild, Sage is struggling with some issues that I'm not sure if most children would understand. However, for those dealing with a ill or injured family member, this would be a great book to explore some of those emotions. Sage is distracted and a few times misses important things that could cost her team the lead. Having been the strong leader in the past, she is scared to open up and show weakness. In the same fashion as the previous Race the Wild, we do get to see and explore a fun new ecosystem. I'm really loving the animal facts and even I learned a few interesting things myself. Kids will love these facts which are presented as fast little "commercials" from the regular story. A fun ecosystem to explore and some great moments of discovery make this a really great story. I just worry that Sage's issues may not ring with everyone in the target audience. This series is one of my son's favorites. The dragons are all so unique and somewhat mirror their dragon master's personalities. They all work together very well and in each story they have a new adventure featuring a different dragon. 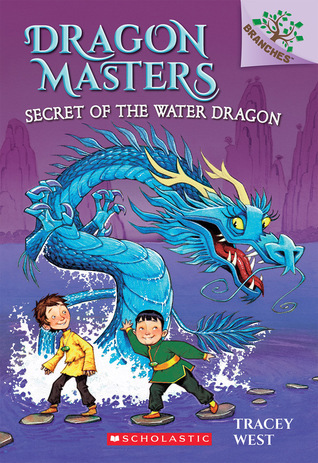 In book three we get to learn more about Shu the water dragon and find out what type of unique power he has. 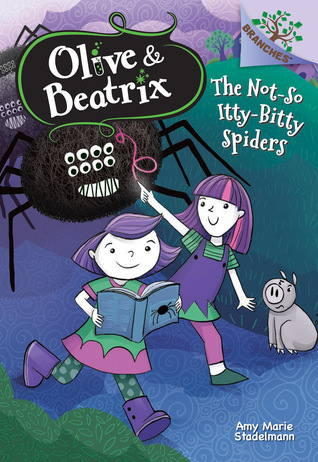 The book is very engaging - even as a parent I was drawn into the story. There are just enough pictures for younger readers while still keeping a detailed plot line. I have really enjoyed learning about all the dragons. Up next is the fire dragon and I bet it will be very exciting. This is one of the best books I've read all year. It's probably the best mystery/thriller I've read ever. It grips you from page one and takes you for a ride that you will never forget. I went from being suspicious of Estelle, to feeling pity for Estelle, to being convinced she was a murderer, and back through it all over again. We watch the mystery unfold as Estelle slowly begins to remember what happened to her daughter. This is not one you will be able to solve on your own. You don't have all the information, just like Estelle doesn't have all the memories. 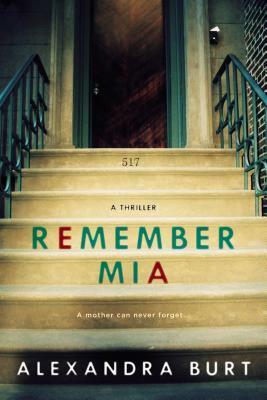 So I was very excited every time she had even a small break through and I found out a little bit more about what happened to Mia. This isn't just a psychological book. There are some serious more physical moments that we re-live with Estelle as she remember them. My heart races, I wanted to cry, I wanted to scream, I wanted to give her a hug and tell her to keep fighting and not give up. It's been a very long time since I was so emotionally involved in a story. You do not want to miss one!!! You must read book one of this series or you will be totally lost. The book picks up shortly after book one ends with Horace, Alyra, and Jirom somehow ending up on all different sides of the politics. Horace finds his loyalties split and his lack of confidence is beginning to effect his Zoana and his ability to use it. I expected a little bit more out of Horace. Throughout much of the story he is just confused and ineffective. The slave rebellion, led by Jirom and Emanon, is finally gaining ground. But they know that eventually they will have to face their friend Horace. No one is sure how this will end up, but other political powers are set on doing anything and sacrificing anyone to put the revolt down. Alyra is another character that seemed confused throughout the story. I loved her dedication and how set in her beliefs she was in book one, but she's changed a lot. She rides the fence a lot more often now, while somehow still seeming to be set in her ways. Towards the end I got a glimpse of the book one Alyra coming back and I really hope that carries over into book three. Once again, Jon Sprunk has given us a very epic tale. We have magic, strange creatures, politics, and empires are competing against each other. Loyalties are not always clear, and you can never be too sure who you friends are. There are epic battles that can destroy cities, and as an empire rises and falls again, I never really knew where it was going to take me next. Mine to Spell is book two in the Mine series set in Chardonia - a country whose women are slaves and must obey every whim of their warlock masters. I briefly met Cynthia in the first book, she is Serena's younger sister and next in line to be sold. Seeming to accept her fate, she launches herself into the process only to find herself becoming a victim to one of the warlock's darkest secrets. 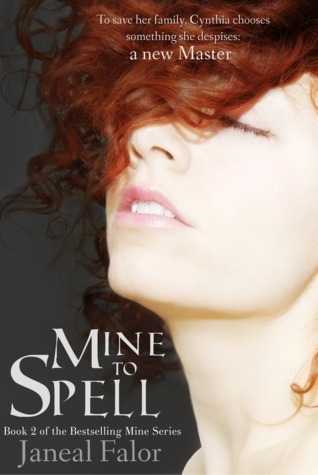 Using a secret of her own, she manages to gain her freedom - and lands herself in another mess. Cynthia seems to be great at finding herself in a mess. But she's determined to prove she can find her own way out. Most of the story revolves around the quickly disintegrating situation for women in Chardonia and Cynthia's fight to prove they are just as good as the warlocks. But along the way she does find a bit of romance. It's not the main part of the story, but an important element as Cythina grows and develops her secret - I really want to tell you all what it is, but that would completely ruin the big reveal in the book. I'm excited to see what happens next to the women of Chardonia. I saw that book three, Mine to Fear, is coming out this month, and I think it will going into my cart as soon as I see it in paperback. 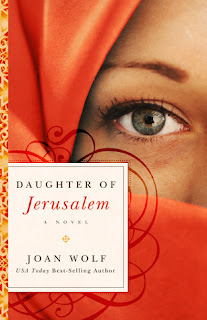 While each individual story may not have a 5 star rating, this world Janeal Falor has created is addictive.